If your home is decidedly lacklustre due to a shortage of space or tired furnishings, don’t despair. There are ways to make it feel special again on any budget – take a look at these ideas and you’ll be feeling fancy in no time. Soft and decadent, velvet can be both modern and luxurious when introduced in smaller pieces. A little goes a long way, so think cushions, an ottoman or a throw rug draped over the lounge. Mix with silk and linen for layers of sumptuous texture. Whether it cost you a small fortune or a small coin donation, who’s to know when it looks so lovely taking pride of place on your wall? Here’s a trick – find some secondhand frames at your local op-shop and give them a new life with a lick of paint – try white chalk paint for an elegant matt finish, or go for gold to add a hint of glamour in the living room. Just like that sparkly number hanging in your wardrobe that elevates the more pared-back pieces, a little shimmer in the form of lighting will brighten up any room. Even better, hang it somewhere unexpected – the kitchen or bathroom are sure to benefit from a little ceiling bling. Classic, well-made fixtures such as door and drawer hardware and tapware will always make a room look more expensive, and choosing a timeless design is worth the investment. Brushed copper and brass bring warmth and richness to your home, and suit just about any style of interior. It’s the small things that count, and when it comes to making your home feel posh, the bathroom is one place where a few little details can really up the luxury ante. Use a ceramic dish for sponges and a glass jar to hold hand soap – just avoid plastic at all costs. 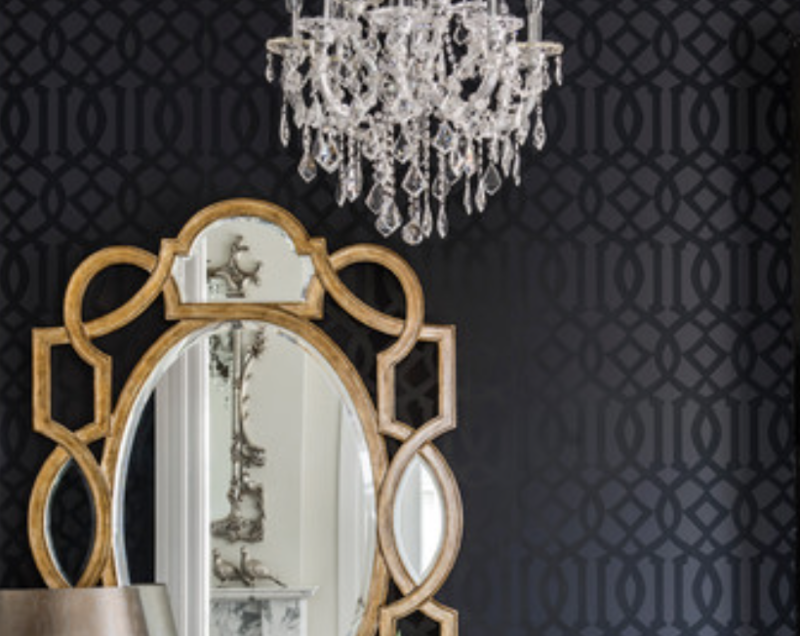 Textured wallpaper is a great way to get a high-end look without the matching price tag. Choose a feature wall and pair with a neutral palette for maximum impact. The soft, warm glow of a naked flame is perfect for bringing a luxe touch to a mantlepiece or bedside table. Avoid candles made with paraffin wax and those containing artificial fragrances. Look instead for beeswax and soy candles with natural cotton wicks and pure essential oil fragrances. While it’s fine to keep the “good” cups and saucers tucked away for the right occasion, it means that when guests casually pop over for tea, they miss out on enjoying the fine china. Donate the novelty mugs to charity and make linen and crystalware an everyday treat. Fresh flowers make the perfect last-minute table centrepiece for when guests are coming over – they show that you’ve made an effort and often provide a lovely scent. Only have time to grab some of the wild variety in the garden. Cut the stems short and group them into a pretty posy in a glass. There’s something very chic about a black and white colour scheme. Timeless and elegant, this look can be modern, traditional, Hamptons-inspired… just remember to stick with a “less is more” approach, and think quality over quantity when it comes to furnishings.